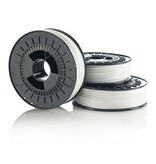 The Ultimaker PLA White comes on a reel for more printing convenience. It has great roundness and consistency. It is not translucent. 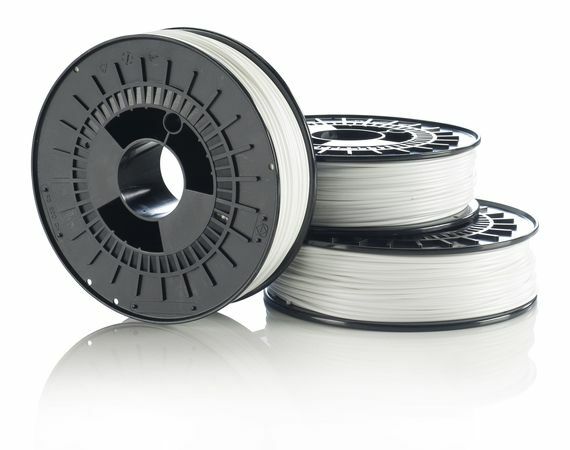 Ultimaker supplies PLA and ABS as materials for printing. For the Ultimaker Original we recommend printing with PLA. PLA is a biodegradable plastic which is the easiest material to print with because of its properties. For printing with a material like ABS a heated bed is recommended, since ABS has the tendency to warp when it cools down fast. 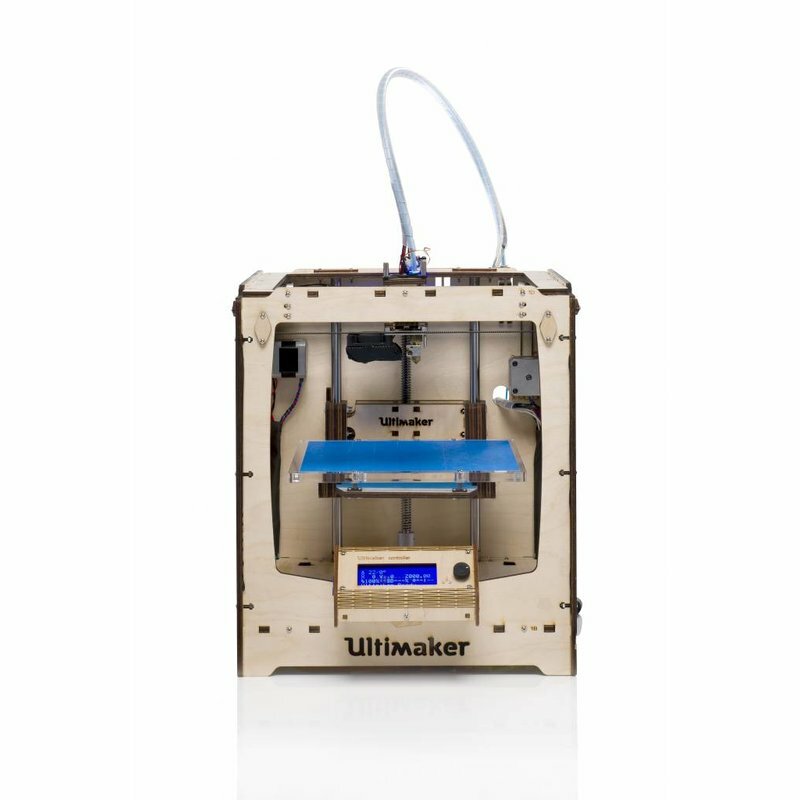 Therefore the Ultimaker is the better option if you want to print with ABS.